Games Officials 1980's. 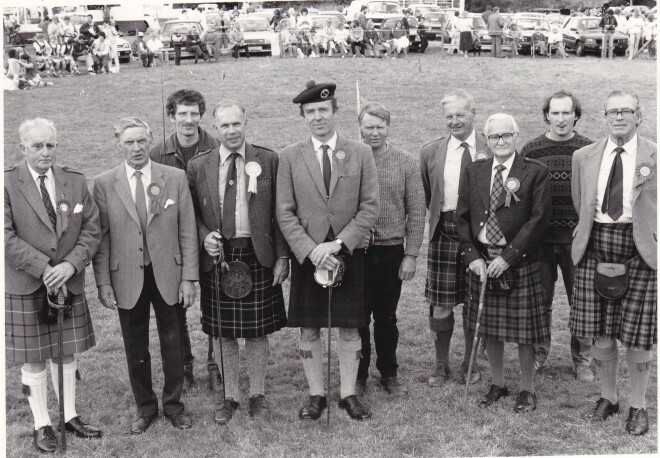 The 1980s officials are Bert Rattray, Jim Jackson, Andrew Duncan, Robin Andrew, Sir Michael Nairn, James “Woody” Cameron, Bill McLauchlan, “Ginger” Bernier, Donald Michie and Aldo Campbell. 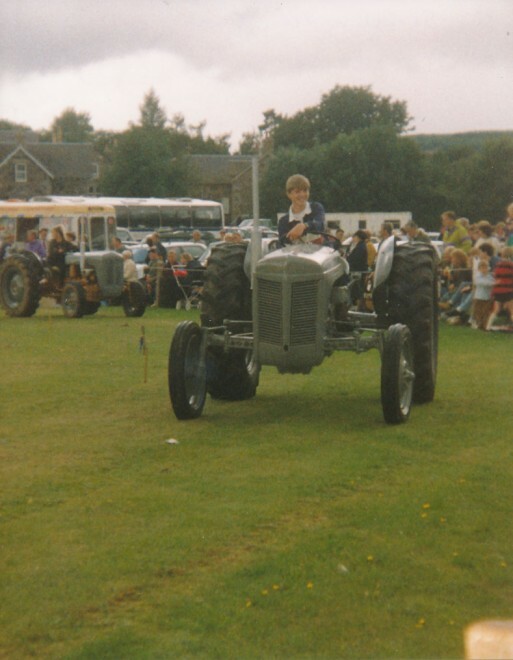 Tractor parade. 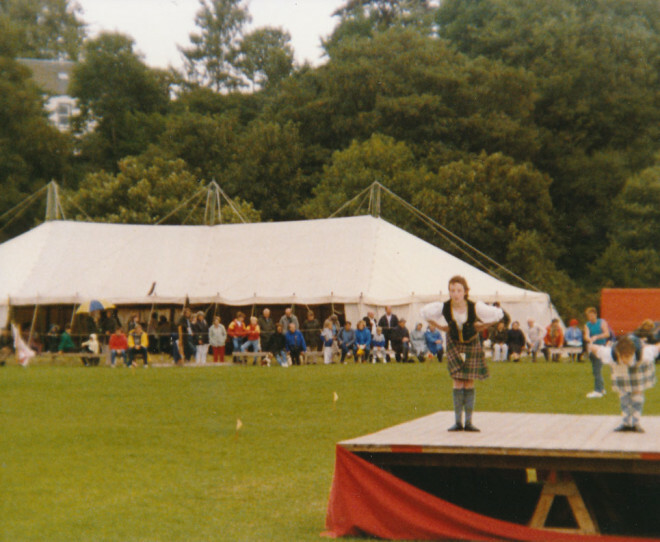 Strathardle Gathering, 1994. 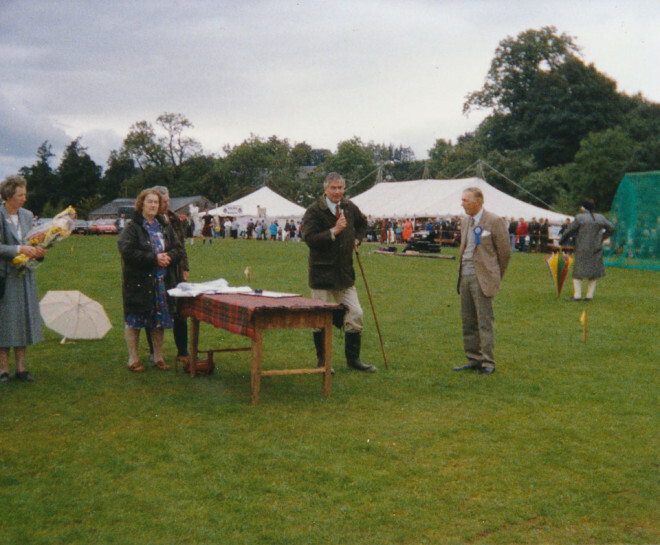 This page was added by Linda Cameron on 03/12/2013. 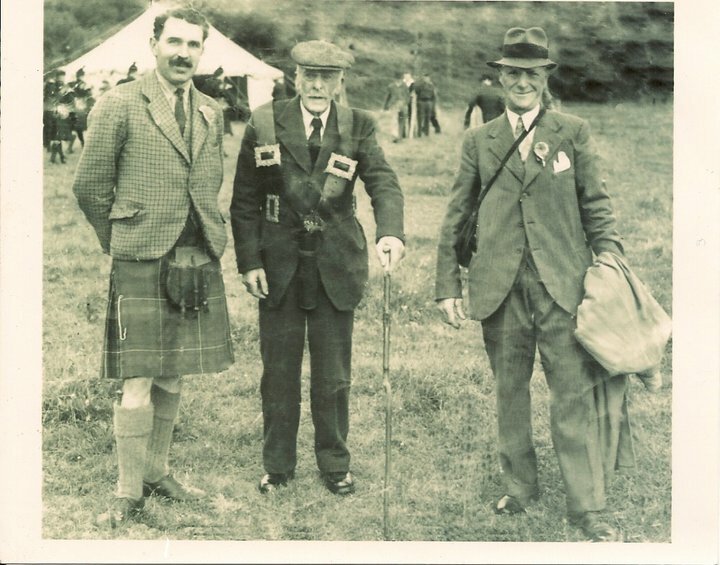 The first photo showing George Nairn [not yet Sir George], John Petrie, Ronald Crichton in 1946 was taken when the games were held in the Dounie Mill laugh below the road at the Dounie burn bridge. 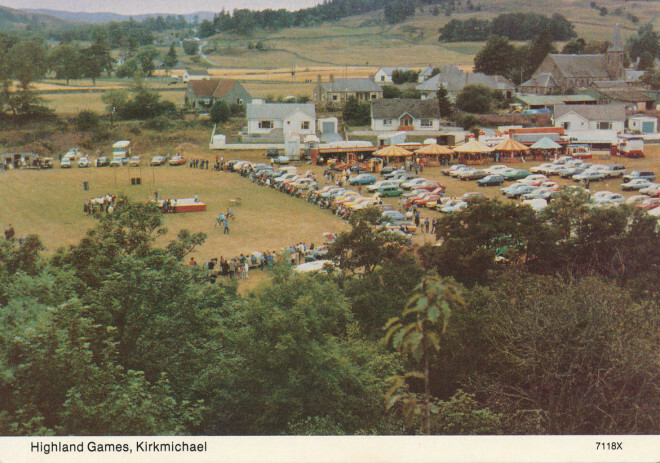 They were later re-sited to the Bannerfield as being easier for people to get to but the Dounie Mill haugh was a wonderful natural arena for the spectators. The 1980s officials are Bert Rattray, Jim Jackson, Andrew Duncan, Robin Andrew, Sir Michael Nairn, James “Woody” Cameron, Bill McLauchlan, “Ginger” Bernier, Donald Michie and Aldo Campbell.